Forex Options – What Are They And How Are They Traded? The foreign exchange (forex or FX) options market has grown to become the world’s largest and most liquid market. It shares many similarities to other options markets, but with a few key differences that make it enticing to small investors and large companies alike. In the following guide, we’re going to look at what a forex option is, what are the benefits of trading them, and how trading occurs. A forex option, also referred to as a currency option, is a type of flexible contract that a buyer may enter by paying a premium. The contract gives the buyer the right to trade currencies at a determined rate prior to a determined date. The major advantage is that the buyer has the right to make this exchange, but he is not obligated to do so. This makes options a powerful tool for hedging against uncertain shifts in currency exchange rates. In traditional options trading, the buyer has the right to purchase or sell a specific commodity before the given date. The same rules and processes apply to FX options trading, except that the asset being purchased or sold is another currency. As mentioned previously, FX options are often used by large companies to offset potential losses that occur due to fluctuations in used currencies. Options are often used in this regard alongside currency forward contracts. Currency forward contracts guarantee a trade at a specific rate on a specific date. They are used to hedge against certain shifts. Meanwhile, options require no obligation and are thus used to hedge against uncertain shifts in the future. To know how to trade options you need to first understand each type of option. Some of these terms you may be familiar with if you have traded currencies or options in the past. There are three main types of FX options and they are fairly simple to understand. The first type of option is a call option. This gives the investor the right to buy a pair of currencies at a determined exchange rate. The right will need to be exercised on or before a specific date. The second type of option is the put option. This contract gives the investor the right to sell currency pairs at a determined rate before a specific deadline. The third type of FX option that is frequently used is called Single Payment Options Trading (SPOT). SPOT options are sometimes referred to as binary options because they have two possible outcomes. The investor will provide a scenario and the broker will charge a premium based on the likelihood of that scenario occurring. The SPOT option will then pay out if the determined scenario occurs. Above is one of the two possible outcomes of a binary forex option. The second outcome is the scenario listed does not occur. In such a case, the investor will lose the premium that was paid for the option. SPOT trading has become extremely common with new investors because it is easy to understand and has a significant potential for profit. The apparent simplicity of SPOT trading is actually deceptive. It’s true that each option only has two possible outcomes, but the number of potential scenarios is very high. Once traders begin considering all of these scenarios they can easily become overwhelmed. However, there are various tactics for SPOT trading that are meant to make the prediction process easier. If you are interested in forex SPOT trading, then there are two simple scenarios that you should familiarise yourself with. These scenarios make it easy for newcomers to make predictions and thus make a profit. The first is known as a “one-touch spot” and the second is called a “no-touch spot”. Each strategy reflects a predicted change in an exchange rate. With a one-touch spot, you are predicting that an exchange rate will reach a specific level before a given date. If the exchange rate does reach that level before the provided date, then you receive payment. The value of the payout is determined by how long the options contract is set for and the difference between the current exchange rate and the predicted exchange rate. Generally speaking, one-touch spot options do not have very high payouts. They are still an attractive option because of their simplicity. It’s a great way to begin trading forex options if you are a newcomer. The second option is the no-touch spot. This is simply a prediction that an exchange rate will not reach a specific level prior to an expiration date. Once again, the value of the payout is determined by the length of the contract and the difference in the values of the exchange rate. The payout is not very high for no-touch spot options either. The one-touch and no-touch spot options are some of the most commonly traded options with newcomers. Not only are they easy to understand, but they serve as powerful learning tools. 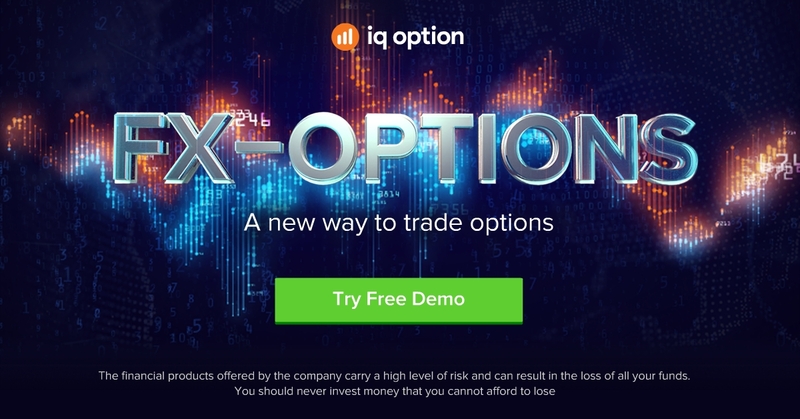 Many great investors took their first steps into forex options with the one-touch spot. As you spend more time trading you will become more comfortable with forex options and be able to predict more specific scenarios with much higher payouts. If you are already familiar with traditional forex trading, then stepping into the FX options market may seem like a natural step. It is a great way to diversify and to hedge against specific risks. Your existing knowledge of the currency market will be beneficial when trading options and what you learn while trading options will benefit your traditional forex trading. And what if you don’t have experience with the forex market? Trading options is actually a great way to introduce yourself to the market. SPOT trading, in particular, is an easy-to-use tool for learning the market while making a small profit. That profit will continue to expand as you learn more about the complexities of trading different types of forex options. In any case, it’s important that you continually strive to learn more so that you can make more accurate predictions in the future. Always remember: Your capital is at risk because trading of any kind carries a high level of risk, and may not be suitable for all investors.